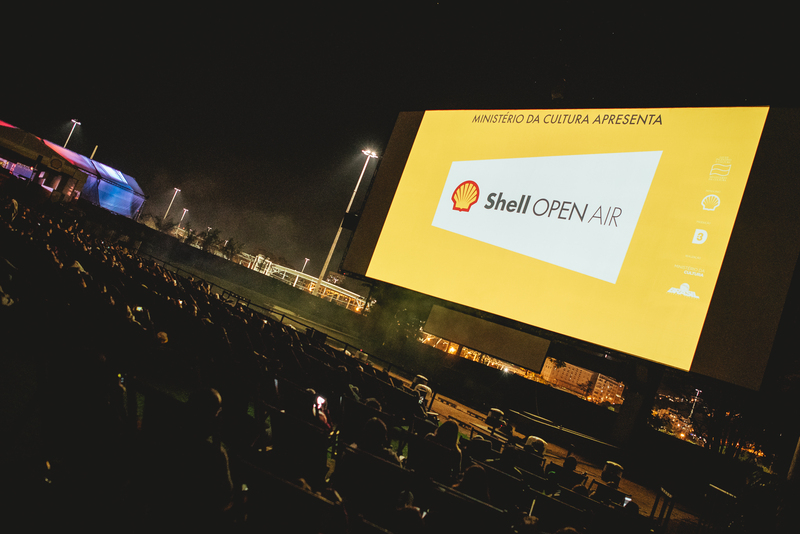 The biggest Outdoor Cinema festival in the word, SHELL OPEN AIR is one of the most amazing audiovisual experiences to exist! 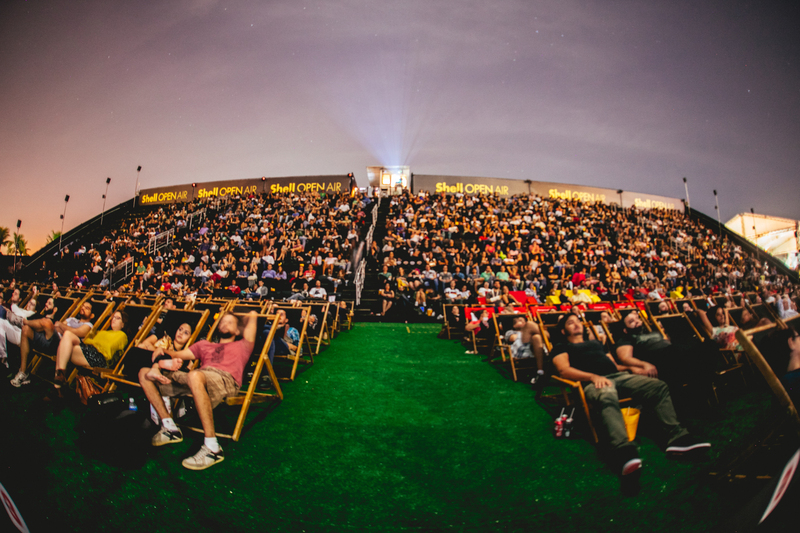 In a three-week lineup, with long and short features both national and international for younger and adult audiences, screenings for classics of cinema, premieres and animated productions, on top of musical acts and themed parties. 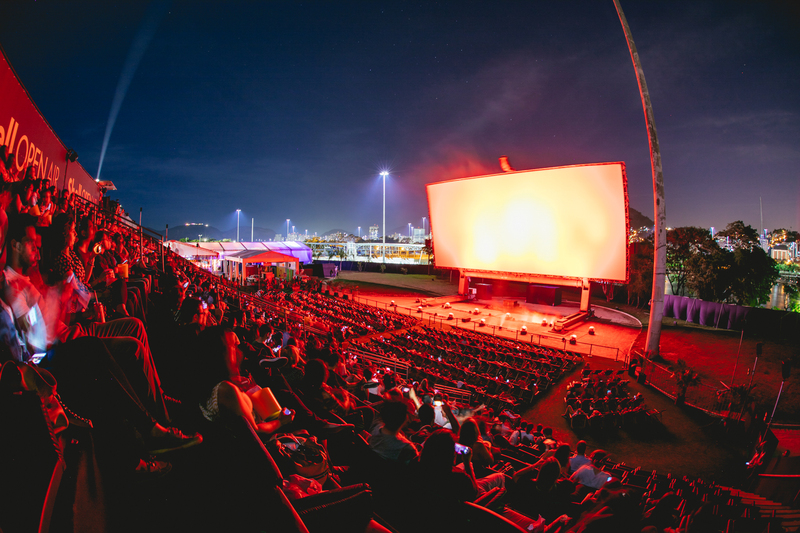 The mobile cinema’s big screen is 325m², the same area as a tennis court, and when lifted it is the equivalent of a 4-floors building. 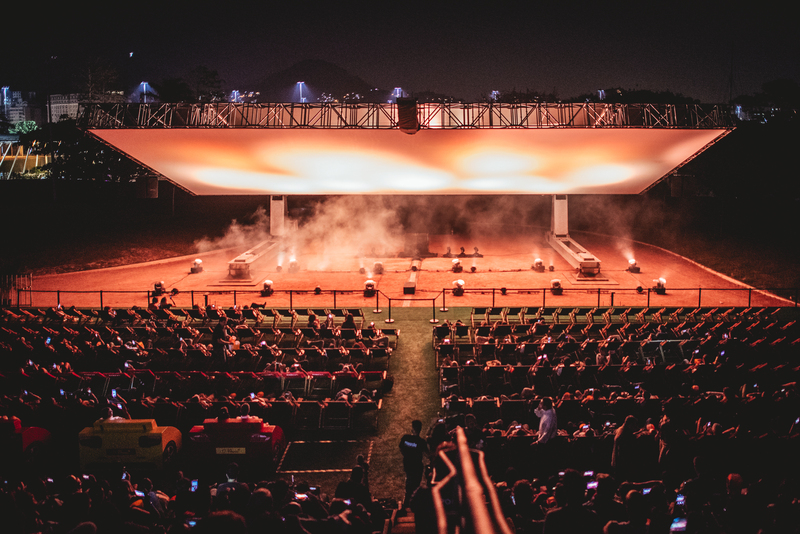 Besides the impecable digital projection, the Open Air Sound Design is an extraordinary experience: technology servicing art. 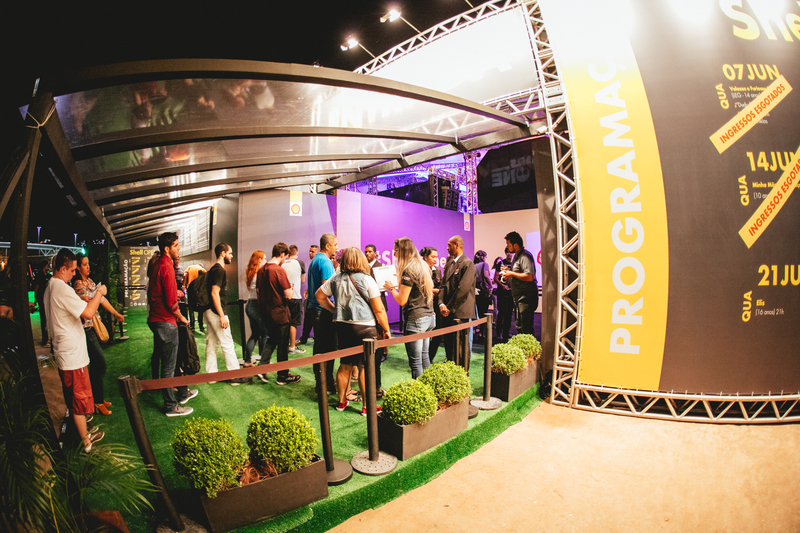 D+3 has produced 21 editions of Open Air in Brazil plus 4 extra editions in Europe, at Madrid and Lisbon. 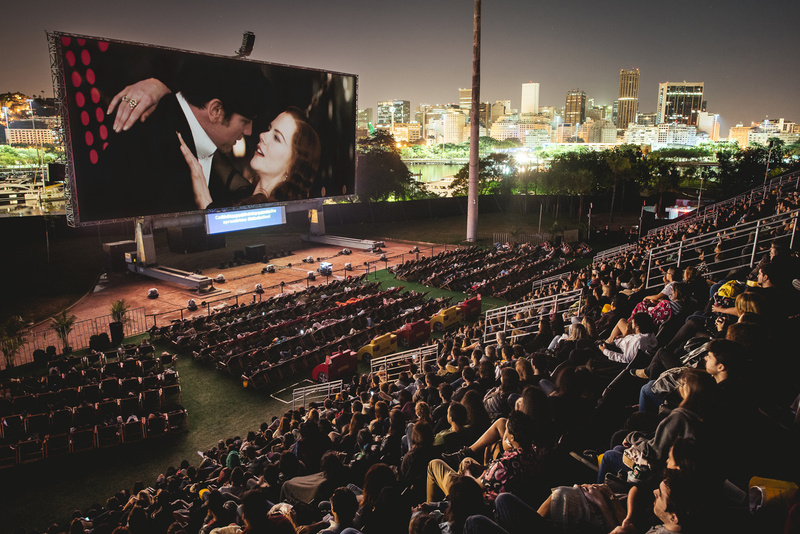 In Brazil, OPEN AIR has passed through cities like Porto Alegre, Curitiba, Brasília, Recife, Belo Horizonte, besides São Paulo and Rio de Janeiro. •	Organization and infrastructure were the high points for the visitors. 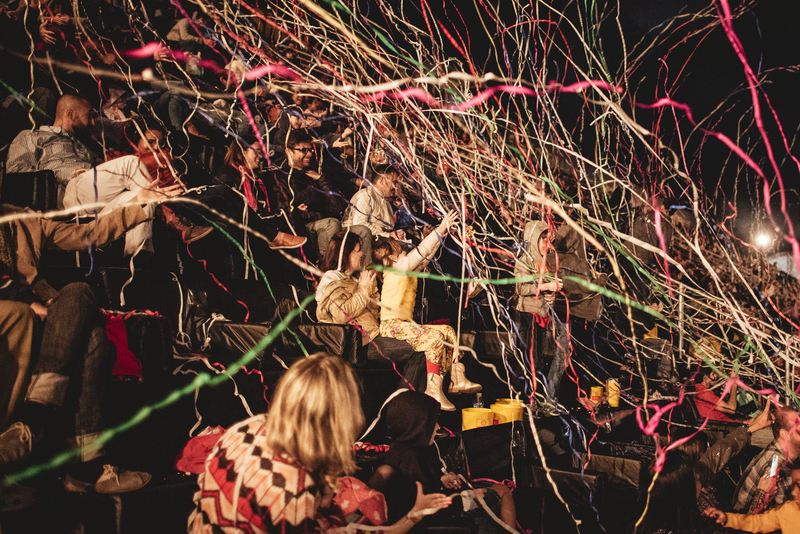 It showed a positive surprise and every single aspect and received a 10/10 grade from more than 70% of the audience. 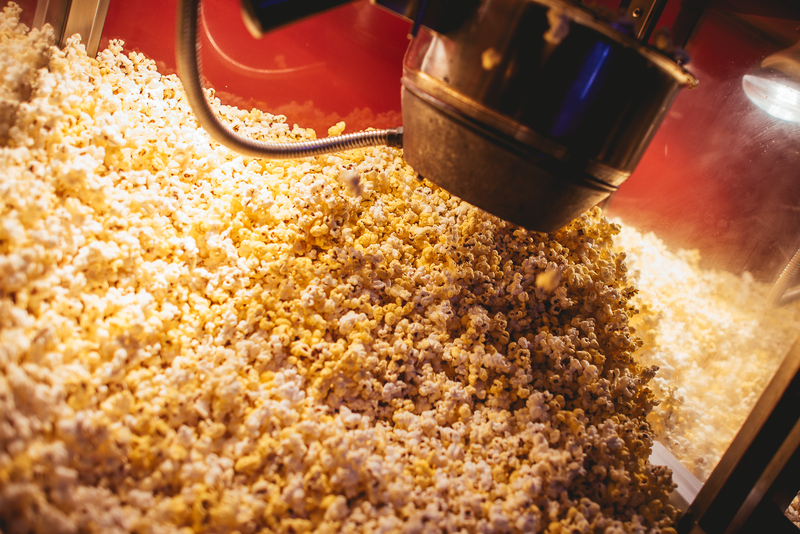 •	The quality of the screening also received good reviews. More than 80% of the people interviewed rated the visibility of the screening and the quality of the Sound Design as 10/10. •	ONLINE USERS IMPACTED: 19.514.031.